Sugar Shack Quebec Landscape is a painting by Carole Spandau which was uploaded on January 14th, 2010. A wooden shack sits in the woods waited for its occupant to come home from a day of walking in the snowy landscape. Beautiful long blue shadows fall on the white snow. Joetta, thank you for featuring my painting Sugar Shack Quebec Landscape, in your group, International Women Artist. Frozen In Time, thank you for featuring my painting Sugar Shack Quebec Landscape, in your group, New FAA Uploads. Lyric, thank you for featuring my painting Sugar Shack Quebec Landscape, in your group, Out Of The Ordinary. 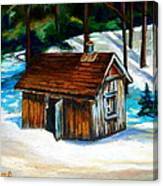 Sharon, thank you for featuring my painting Sugar Shack Quebec Landscape, in your group,Women Painters. Rebecca, thank you for featuring my painting Sugar Shack Quebec Landscape, in your group, Contemporary. 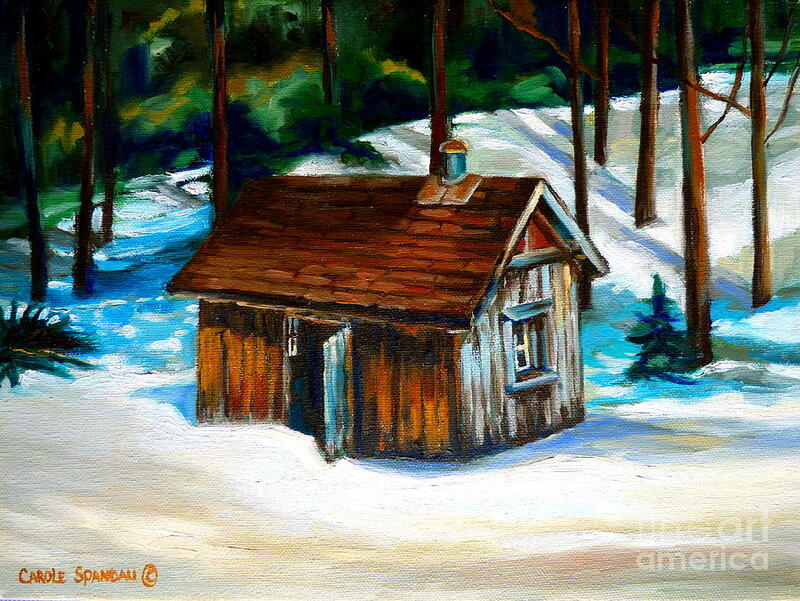 Rebecca, thank you for featuring my painting Sugar Shack Quebec Landscape, in your group, Pin Me Daily. dora, thank you for featuring my painting Sugar Shack Quebec Landscape, in your group, Winter Wonderland. 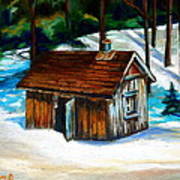 John, thank you for featuring my painting Sugar Shack Quebec Landscape, in your group, Images that Excite You. Karen, thank you for featuring my painting Sugar Shack Quebec Landscape, in your group,Lady Photographers and Painters. 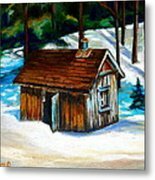 Julie, thank you for featuring my painting Sugar Shack Quebec Landscape, in your group, your Story Of Art. Larry thank you for your comment. Connie thank you for your comment. Such a beautiful tranquil feeling viewing this painting, lovely! Thank you Beth, Joan ,Rona and Robert, I appreciate your comments. Evocative and beautifully rendered; congrats, Carole!